Cheburashka soft plush Russian-speaking toy. Cheburashka will teach your baby to dress up. 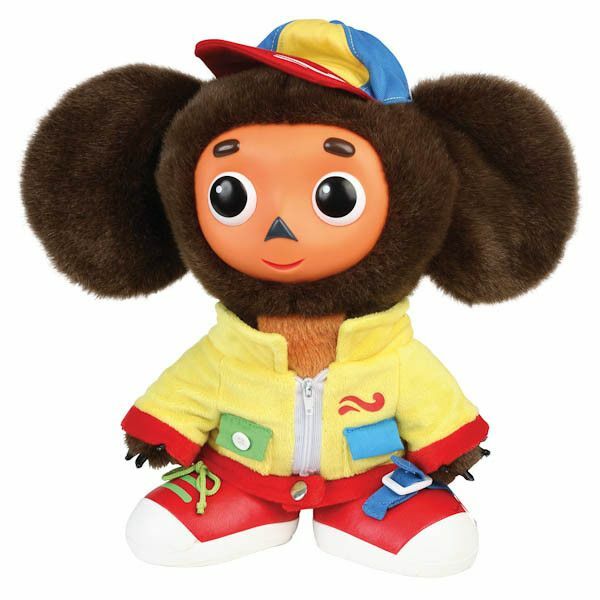 Cheburashka will be a nice teacher for your child. 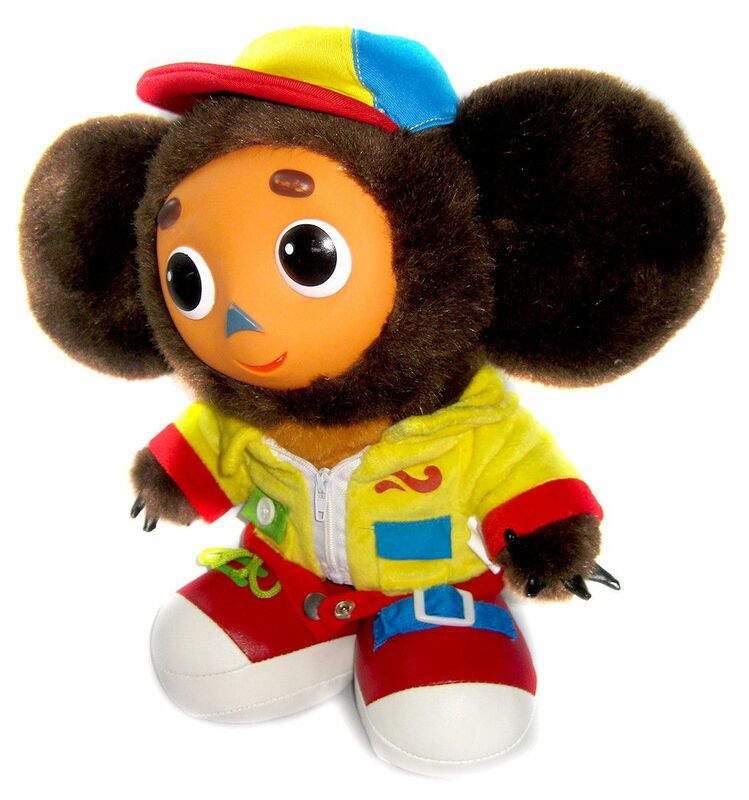 And, also Cheburashka will be a great friend! The soft and nice toy will bring pleasure and happiness to your child! 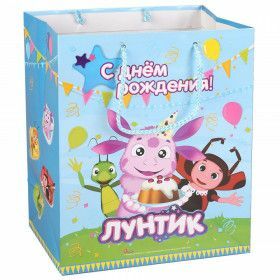 Charming "Cheburashka" happy to teach your child to dress. This little animal with big ears is able to say "Please," "You are welcome," "Thank you," and more. 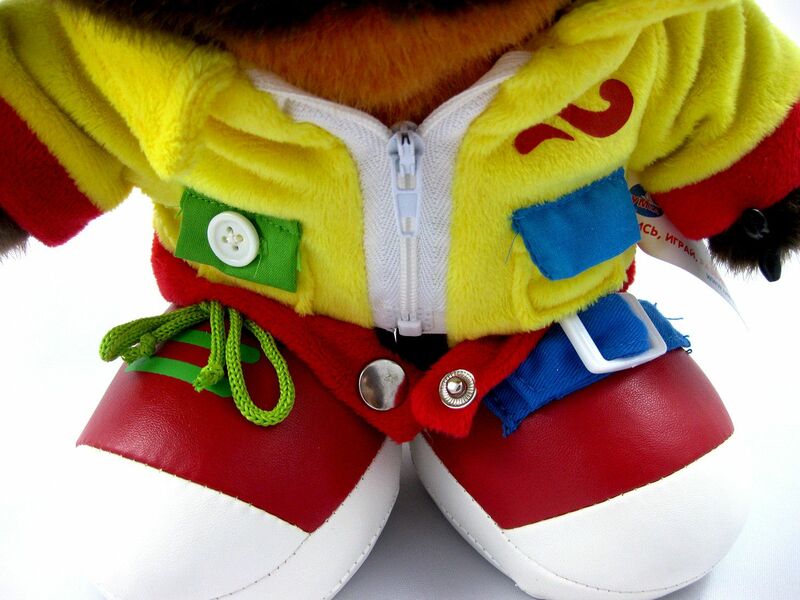 He will teach the child to fasten zippers, buttons, tie shoelaces, take the jacket off and put the jacket on. The kids will learn the names of items of clothing. The child will learn colors. 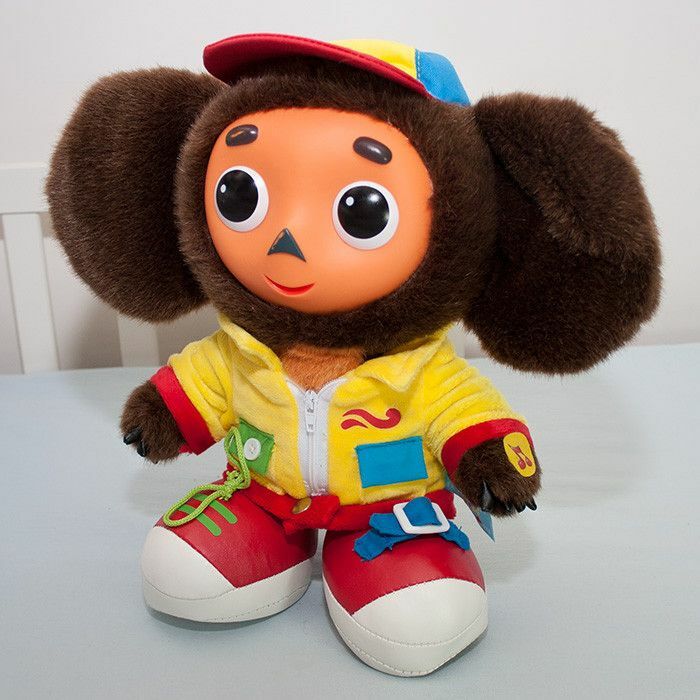 Cheburashka will teach the child to distinguish between right and left side. Toy develops tactile and motor skills.